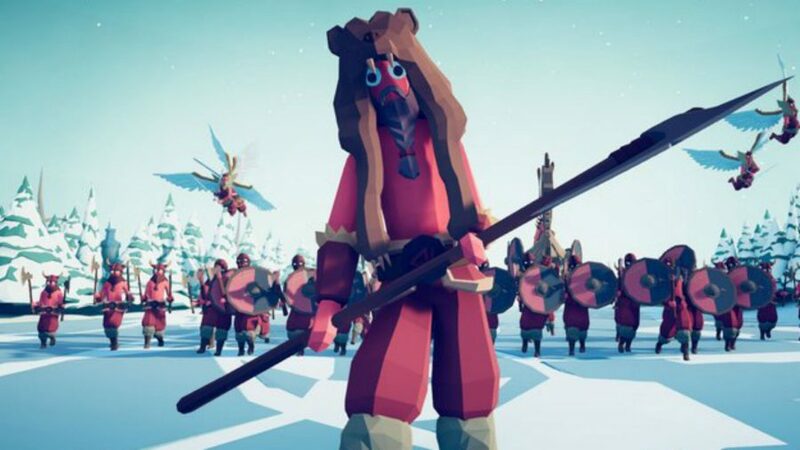 If we learned anything from the Games Developers Conference in 2019 it’s that the indie games boom shows no sign of slowing down. 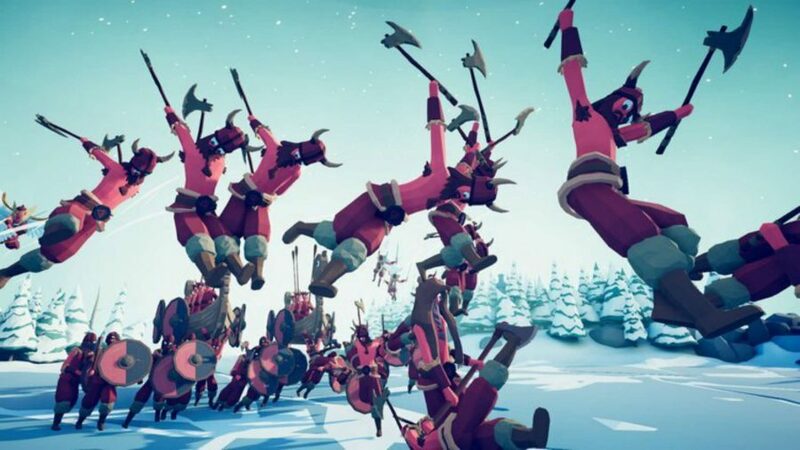 And, as ever, they are best played on PC, so it’s up to us to share with you the cream of the crop, be it PvE battle royale games, or strategy games in which not-at-all-historically-inaccurate soldiers fling themselves at woolly mammoths and mages. As thousands of developers descended on San Francisco’s Moscone Center to learn from their colleagues, see the future of gaming with Google Stadia, or witness the reveal of the first moments of Vampire: The Masquerade – Bloodlines 2 gameplay, we scurried around the cavernous convention to discover the finest independent experiences that will be coming to a monitor near you soon. The following games are just a drop in the ocean when it comes to the veritable avalanche we tried out at GDC 2019, so don’t miss out on our thoughts on Double Fine’s roguelike action-RPG, Rad, Inside-like platformer, Stela, and Boyfriend Dungeon, a dating sim with a rather peculiar twist. But, for now, let’s get back to it: here are our favourite indie games we had the pleasure to play at GDC 2019. Totally Accurate Battle Simulator is precisely not what it says on the tin, and hilariously so. This approachable strategy game sets you a series of battle scenarios lightly-themed around the greatest battles of history. We say ‘lightly’ because, well, you also have massive mammoths and sentient warships with googly eyes in the fight. TABS’ cutting-edge physics–based simulation is as impressive as it is endlessly amusing. Enemies ragdoll and launch themselves impossible distances over enemy lines and the rank-and-file careen into the air after an explosion, limbs flopping in all directions. It’s even more of a treat to zoom your camera right into your soldier’s gormless faces. A chaotic and not-educational-at-all game of trial and error, TABS will have you laughing as much as triumphantly punching the air. 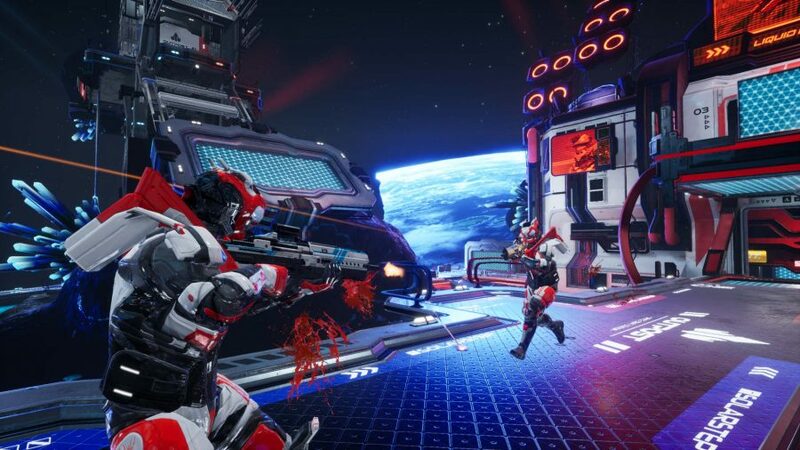 Splitgate: Arena Warfare shows there’s life in the arena shooter yet. But, how will this FPS game succeed where games like Lawbreakers did not? The answer is the interdimensional tactical possibilities of Portal. In Splitgate, the tight, precise gunplay of Halo is transformed as you nip into the ether to outflank and outthink your opponents. 1047 Games’ fluid, fast multiplayer shooter is designed with new players in mind as much as it is veterans who have sunk thousands of hours into the likes of Quake and Unreal Tournament. All players start on a level playing field with the same loadout, with heavy power weapons appearing on a timer. Splitgate boasts a simple ranking system to match players with those of the same skill level, but its portal-hopping conceit ensures its high skill ceiling will take some time to reach. The trouble with battle royale games – or, rather, the trouble we have with battle royale games – is that their PvP focus can make getting wins quite hard. This is why we have a soft spot for PvPvE multiplayer games like, The Cycle. 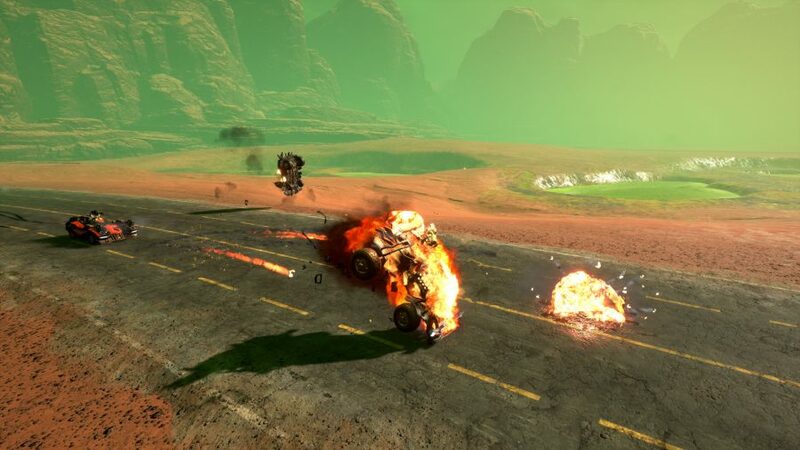 This is a ‘competitive match-based first-person quester’ that sees you on the planet Fortuna III racing against your rival Prospectors to claim enough resources and escape before they, and the planet itself, snatches your life away. 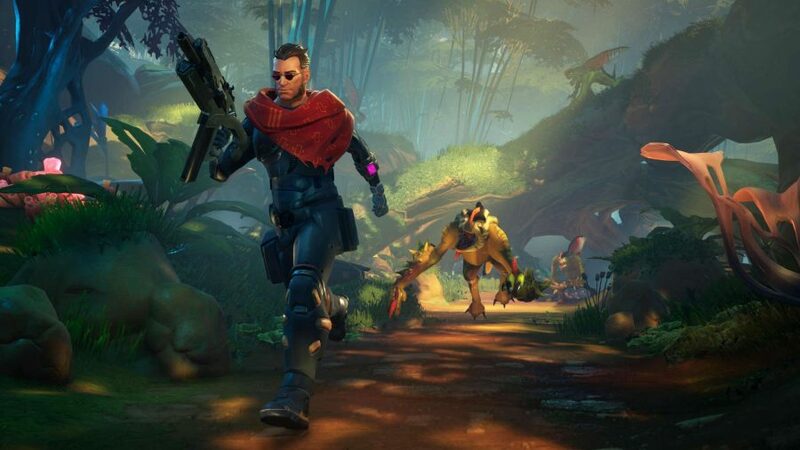 Curiously, developer Yager are better known for the all-shades-of-grey narrative strength of third-person military shooter, Spec Ops: The Line, but The Cycle freshens up the battle royale formula nicely. Here the better players are not necessarily the ones with a penchant for PvP – phew – but those who are willing to risk more on more perilous contracts – not so phew. At least we won’t get teabagged by AI that defeats us in battle, hopefully. Racing titles, strategy experiences, and Fallout isn’t the combination you encounter everyday, but there are few better ways to describe Auroch Digital’s take on the cult-classic Games Workshop property. Dark Future: Blood Red States sees the US government collapsing with society as we know it imploding and megacorporations calling the shots. It’s set in *checks notes* 2023. As a highway warrior for hire you must take the ravaged highways of America to carry out jobs for those willing to stump up enough cash. That means using the RealTimeShift system to slow time and plan out the next explosive volley to hit your target – think Fallout’s V.A.T.S. system and you’re not too far off. On too many occasions, you feel like remaining silent in choice-based adventure games is the wrong or undesirable option. In murder mystery noir, Night Call, however, keeping crucial intel to yourself is not just a viable option, but strongly encouraged. 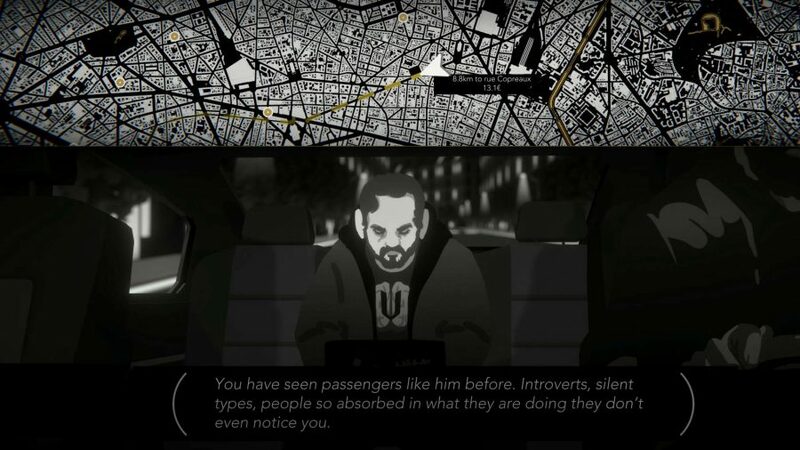 Amid the moody, darkened arrondissements of Paris, the friendly neighbourhood gendarmes have blackmailed you into discovering the identity of a serial killer. This is a visual novel that, despite its monochrome art style, is far from black and white. As a cabbie you not only have to make ends meet to pay for your cab, room, and board, but unravel the mystery by taking on a selection of cagey clientele, too. When balancing making a living with ensuring the innocent people of France can hold on to theirs, you need to know when to ask the right questions, and when to keep things to yourself. We’re constantly encouraged to get out and see the world, but what’s the point when we can do it all while also luxuriating in the ambience of neon RGB and salty snacks? Away: The Survival Series let’s you do just that. Playing like a series of David Attenborough’s Blue Planet that you can fly through as a ludicrously cute sugar glider, this is a deliciously sensory experience from ex-Ubisoft developers, Breaking Walls. Sadly, despite being approached, the nonagenarian national treasure couldn’t lend his iconic vocals to the game. Away is a sight to behold. 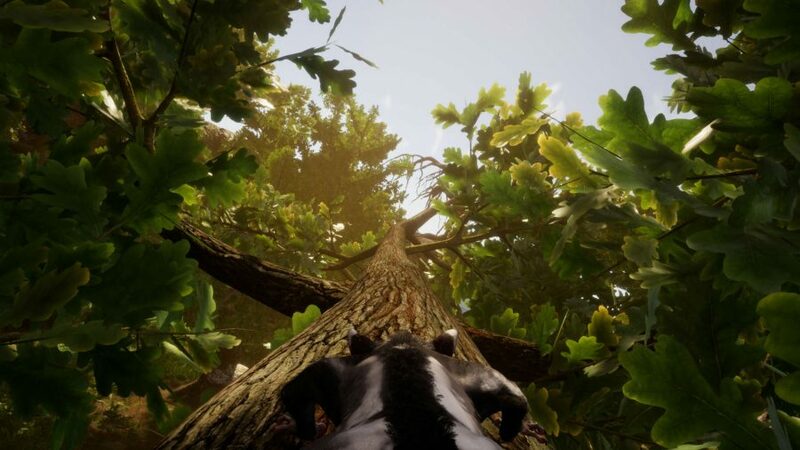 As you soar through natural vistas, climb tall trees, and bask in the quotidian magnificence of other animals going about their daily business, you’ll frequently find it breathtaking. You’ll soon realise that this is a world under threat, despite the remnants of humanity cryptically littered about the place. In Away: The Survival Series you’ll come for its natural majesty, but stay for its absorbing ecological commentary. It’s happened to everyone: a new craze hits the playground, everyone comes together to share in the novel experience, and inevitably, someone ruins everything and gets it banned. Pokemon cards, Crazy Bones, Beyblades – everything went the way of the schoolyard dodo. Just the same thing happens to ten-year-old Jess, and it’s up to you to team up, stand up to the bullies, and get their pastime of choice, Mega Mutant Power Pets, back. 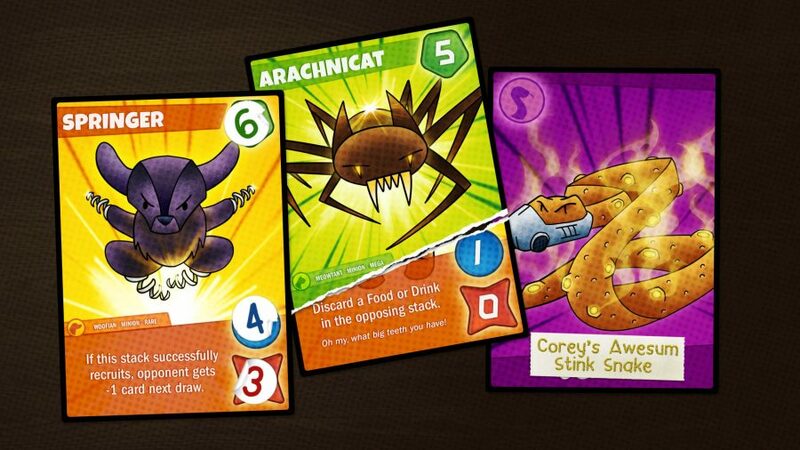 Cardpocalypse is a single-player card game where you and your little friends make up the rules as you go along. Hearthstone players will be right at home here, but the real fun comes when you can design your own cards and battle using made up rules. While its cartoon aesthetic recalls South Park, this is much more family friendly: Jess is wheelchair-bound, but this is not allowed to define her, she is allowed to be just, Jess. It’s a refreshing, subtle representation of disability in a promising evolution of the single-player CCG.